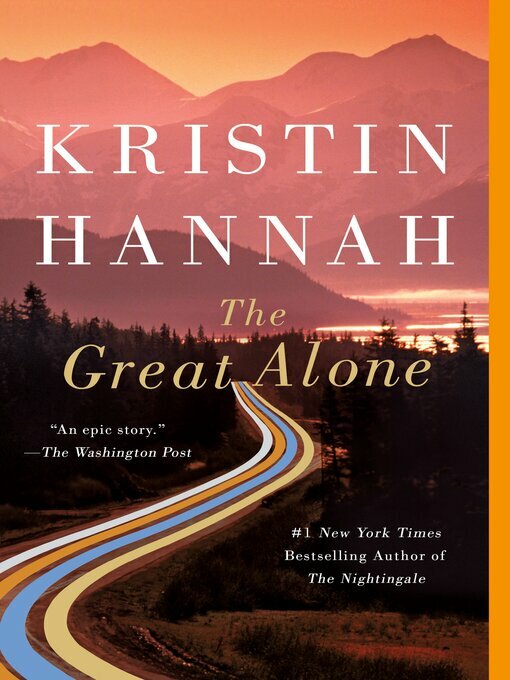 In Kristin Hannah's The Great Alone, a desperate family seeks a new beginning in the near-isolated wilderness of Alaska only to find that their unpredictable environment is less threatening than the erratic behavior found in human nature. A People "Book of the Week"
Seattle Times's "Books to Look Forward to in 2018"
Alaska, 1974. Ernt Allbright came home from the Vietnam War a changed and volatile man. When he loses yet another job, he makes the impulsive decision to move his wife and daughter north where they will live off the grid in America's last true frontier. Cora will do anything for the man she loves, even if means following him into the unknown. Thirteen-year-old Leni, caught in the riptide of her parents' passionate, stormy relationship, has little choice but to go along, daring to hope this new land promises her family a better future. In a wild, remote corner of Alaska, the Allbrights find a fiercely independent community of strong men and even stronger women. The long, sunlit days and the generosity of the locals make up for the newcomers' lack of preparation and dwindling resources. But as winter approaches and darkness descends, Ernt's fragile mental state deteriorates. Soon the perils outside pale in comparison to threats from within. In their small cabin, covered in snow, blanketed in eighteen hours of night, Leni and her mother learn the terrible truth: they are on their own.